While the fabulous Citroën Diesse was the undisputed star of the 1955 Paris Salon, another significant French car also made its debut there, namely the Peugeot 403. It is still too early to say whether the 403 or its successor will eventually be judged the more significant, but I'm plumping for the 404, which combined all the impressive characteristics of the 403 with more style and performance, and even better dynamics. The 404, like its predecessor, was as restrained as the Diesse was extroverted. But it inhabited Pininfarina's new fashion more gracefully than either the Fiat 1800 or the BMC cars, all of which preceded it to market. In 1960, it may just have been the most elegant mainstream sedan on offer, and it has certainly aged well. You have to wonder how BMC boss Leonard Lord reacted when he first saw the coolly elegant Peugeot looking so light on its wheels compared with the heavy-set Austin A60 Farina, Morris Oxford, Wolseley 15/60, Riley 4/68 and (God help BMC!) the MG Magnette Mk IV. The first 404 prototype was completed in September 1957. 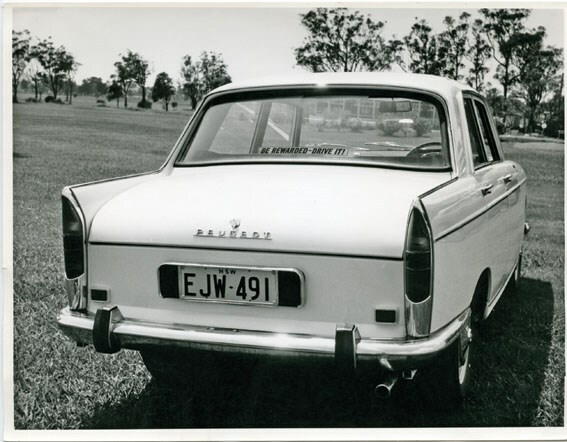 Sold in Australia from November 1962, it was fully imported and cost $2900 compared with the EJ Holden Special's $2220, but it was worth the extra. The 403 had been superior in all important respects, except perhaps towing ability, to the FE Holden, and the EJ's performance was no better than the 1956 model's, although it did handle better. But the EJ still used a three-speed gearbox with no synchro on first, and you had to buy the $2838 Premier to get bucket seats, which, unlike the Peugeot's, could not be reclined. 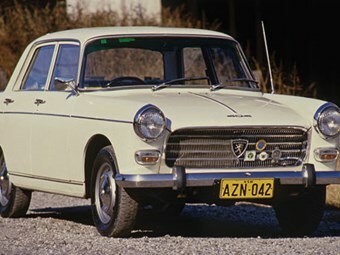 Local assembly commenced in 1965 and the 404's price dropped to $2550, making it the best value car on the entire market. 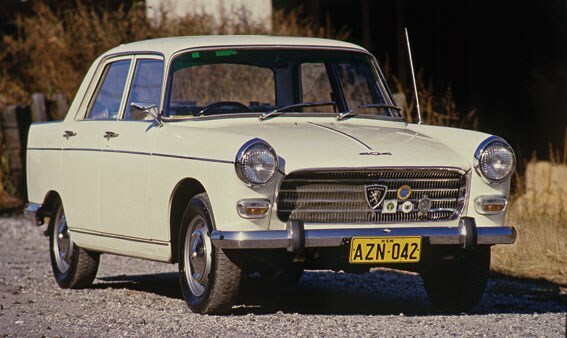 Road & Track magazine rated the Peugeot 404 the quietest car in the world in terms of wind and road noise. There were no quarter vent windows and at 70mph (112 km/h), there was only the faintest rustle around the A-pillars and a slight hum from the 1618cc four pulling its tall gearing. The Wright family had a bluey-green 1966 model with 76 horsepower (the original had 72 and the last of the series had 80). Amazingly, it came from the showroom on cross-ply tyres but a set of Michelin XASs turned it into a full-on sports sedan in search of more power. No car steered better. And while ours didn't win the East African Safari, it shared the glory. Like many excellent cars, the 404 did expect something of the driver. The uninitiated struggled with the dog-leg first gear, with a no-lockout reverse directly above ready to trap the unwary. Arguably, it was another element in the car's considerable charm and I'm not convinced the adoption of a more conventional (if still the opposite of mainstream) pattern, used on the last (disc-braked) examples from 1968, was an improvement.